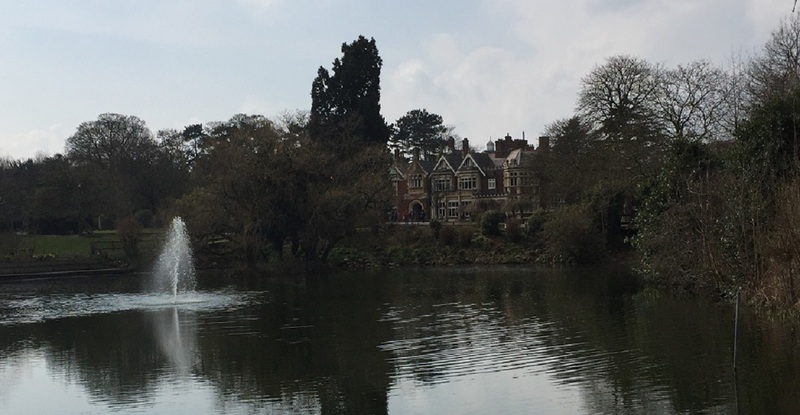 Last weekend we visited Bletchley Park, the home of British codebreaking that played a major role in World War Two, producing secret intelligence which had a direct and profound influence on the outcome of the conflict from the second world war. Since the release of Oscar nominated film The Imitation Game, the interest and visitors to Bletchley Park have increased significantly and considering the history you can see why. On arrival we were greeted by the friendly team where my 2 girls were each given a ‘Top Secret’ Mission Pack which was full of ‘must-see’ highlights along with activities and fun facts to enjoy. We used the mission pack to guide us around the park. Our trail started at the visitor centre which had a number of interactive exhibits, and when you step outside you’re met with the view of the lake and stunning mansion. We made our way around the park exploring the mansion and huts, collecting embossed stamps and completing activities along the way. The kids had great fun running around in the great open spaces and playing and climbing in the playground onsite too. The whole park was fascinating and you got a real feel of what it was like working at Bletchley during wartime Britain. There is a cafe in one of the huts that serves freshly cooked meals and children’s lunch boxes. There is also a coffee shop located in the visitor centre where we had a sandwich when we arrived. I will definitely be returning to Bletchley Park and when you purchase your entrance ticket you are buying an annual season ticket so you can visit as many times as you want to.